The Belle Mare Plage Resort is situated within 15 hectares of tropical gardens and alongside 2km of one of the most beautiful beaches on the east coast of Mauritius. Two Championship golf courses, the Links and Legend, with complimentary play for resort guests, also border the Belle Mare Plage. On the coast, the beach is protected by an offshore coral reef making it ideal for swimming, water sports and snorkelling from the Blues Diving Centre. All areas of Belle Mare Plage are spacious, comfortable and stylish, while the Shiseido Spa will help make your visit perfectly relaxing golfing retreat. Listed Golf Package prices at Constance Belle Mare Plage include Prestige Room, Cristal All-Inclusive, Unlimited Golf, Golf Buggies & Transfers. 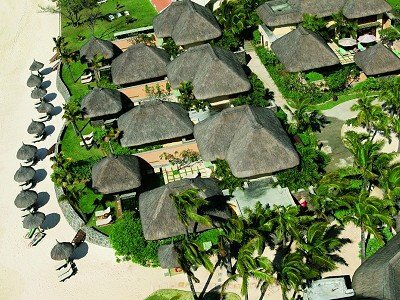 Book a stay at Constance Belle Mare Plage this summer and receive a FREE upgrade to Prestige Sea Front Room. Booking Terms: Minimum 5 night stay. Listed Package Prices: Listed Golf Package prices apply with FREE Upgrade to Prestige Sea Front Room for Offer dates. Listed Golf Package prices at Constance Belle Mare Plage allow for Prestige Sea Facing Rooms, All-Inclusive Board, Unlimited Golf, Golf Buggy, Airport & Golf Transfers. Alternatively, book a Summer 2019 Special Offer on a Full Board basis! 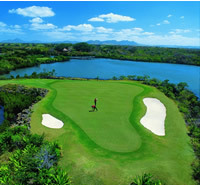 Enjoy 36 holes of Unlimited Golf at Constance Belle Mare Plage on the Links & Legends Golf Courses. Golf Buggies included for both courses. Golf Transfers included at Links Golf Course. 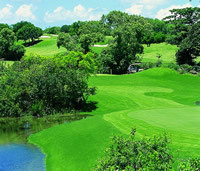 Legend Golf Course is located just 5 minutes walk from your the hotel lobby. Listed Golf Package prices at Constance Belle Mare Plage are based on Cristal All-Inclusive, with Unlimited Golf, Airport & Golf Transfers also included with your package price. - Afternoon tea with pancakes served by the pool at Lakaz beach restaurant. - Snorkeling equipment for each guest at the boat house. - Glass bottom boat excursion available from the boat house. - Guided snorkeling excursions to book 24h before through the boat house. Note that guests booked at Constance Belle Mare Plage on a Half Board basis (with other operators) will not receive FREE buggies, and also, will be required to pay a green fee locally at Belle Mare Plage of EUR15 per round from November 1, 2018 onwards. breakfast at Deer Hunter golf club house or Continental takeaway breakfast pack. Restaurants for lunch: La Kaze restaurant with a daily live buffet or Deer Hunter golf club house with special lunch menu or Le Swing golf club house with his snacks selection. At dinner time: La Citronnelle with a great buffet including few special theme evening per week or Deer Hunter restaurant with his daily Island style menu or any other “A la carte” restaurants with a food credit per person and per day. One dinner once per stay of 7 nights at “A la Carte” restaurants La Spiaggia or Blue Penny Café. (Wine and beverages included in the Cristal package). Unlimited Drinks: Large Variety of Premium branded spirits and International Beers, main bar remaining open until late. Large selection of fresh drinks, soft drinks, and our own produced water. Unlimited access to cocktails & Constance signature drinks menu. International Wine list inclusive of wines from around the world (France, Italy and the New World). Many wines directly imported from small wineries. Selected menu of sparkling wines. Mini-bar with wine, beers, soft drinks, water and confectionary, Mini-bar refilled on a daily basis. - Chargeable services U Spa treatment and boutique, Big game fishing on request as much advanced notice should be given, any other extra excursions not included in the package, Diving at Blues Diving Centre, Special beach dinners, Any special theme evening in our “A la Carte” restaurant (lobster night, etc…) with a supplement, Premium wines, spirits and liqueurs (35% special discount applicable on Premium wine), Boutiques, Any private sports lessons & Laundry. Listed Package Prices: Listed Golf Package prices apply with All-Inclusive Plan. Prestige Rooms (92) (45m²) Distributed over 3 levels, sea-facing Prestige rooms are located on the south wing of the resort. Each room has access to a private balcony and some directly overlook the swimming pool. Junior Suites (137) (68m²) Junior Suites offer beachfront or sea views with private and furnished balcony or terrace, nestled in the north wing of the Resort. Deluxe Suites (6) (96m²) 6 ocean view Deluxe Suites are all located in the south wing. Every Deluxe Suite has a separate living room and with the optional feature of being connected to a Prestige room, which may be suitable for families. Villas (20) With Private Pool (375m² – 525m²) Villas comprise 2 to 3 bedrooms, lounge, and outside relaxing areas overlooking private pool. The landscaping surrounding the Villas is enhanced by small lakes, frangipani and coconut groves. All rooms and suites are comfortably furnished in a modern wood & marble style, featuring a terrace / balcony, bathroom comprising separate shower/bath/wc, a sitting area, air conditioning, hair-dryer, TV with DVD (Villas only), Satellite TV channels, music channels, play-station II (for rental - Villas only), free high speed ADSL internet connection, minibar, individual safe, room service 24/24 hrs. La Citronnelle (Buffet) Restaurant overlooking the beach and pool, serving breakfast, lunch and dinner (food court in buffet style). Serves tropical and Italian buffets, grills and seafood with local flavours. L Kids corner with separate buffet, accompanied by resort hostesses. Blue Penny Cafe (Mauritian) A restaurant which offers a broad menu of unique cosmopolitan flavours in an exclusive and enchanting environment. This restaurant is located beneath cascading waterfalls. A wine cellar and a cigar cabinet contribute to a rich and local atmosphere. La Spiaggia (Mediterranean) Situated in a private corner near to the Villas. Finest Italian cuisine blended with fresh island produce. Deer Hunter Restaurant & Bar (Tropical) Located at the golf clubhouse, open for breakfast, lunch and a la carte dinner. Exclusive European cuisine combined with a Mauritian flavour, in a fine dining ambience. The Swing (Snack & Salad) Situated at the Links Golf Club, the Swing Restaurant & Bar overlooks the magnificent golf course. Open for lunch only it offers a selection of sandwiches and salads. Indigo Beach (Seafood & Snack) Beachside restaurant and Bar, open only for lunch and for special evenings such as lobster. The restaurant is perfectly situated at the water's edge, offering a splendid view of the lagoon. Ordering your food and drinks without leaving your sun bed is possible. La Kaze (Salad Bar & Grill) Beach restaurant, situated near the Prestige rooms, serves a variety of snacks, salads, sandwiches, grilled dishes, pizzas and light meals. Afternoon tea and pancakes are available. Cocktail Bar Main bar located in the main building. Live entertainment every evening. The Spiaggia Bar Beachside Cocktail bar set on a wooden deck. Indigo Beach Bar Next to the beach, cool atmosphere. The Hair Salon uses the natural Rene Furterer products which contain essential oils and plant extracts. A stay in Mauritius is also the occasion to do some shopping at very interesting prices. The Belle Mare Resort presents renowned and reputable shops, which provide genuine quality products at competitive prices. Emeraude Boutique: Beach articles, newspapers, magazines. Maille Street: Cashmere, knitwear – Maille. Silk & Persian Carpets: Silk covers & Persian Covers. Poivre d'Or: Gifts and Handicraft, made in Mauritius. Zoli, Panik Boutique: Harris Wilson, Cotton Club, etc. Birdie Pro Shops - Legend Golf Club Houses. Links Pro Shops - Links Golf Club Houses. Marc Farry was a full member of the European Tour from 1989 – 2004, and 1996 BMW International Open Champion. Farry also won 16 tournaments on the French domestic tour, including the 2000 French PGA Championship, and currently competes on the European Seniors Tour. The Marc Farry Golf Academy offers professional golf instruction, suitable for players of all levels from beginners to experienced players. Juniors (under 14 years old) benefit from a 40% discount on individual lessons. All lessons and packages include unlimited range balls and the use of golf equipment. Please ask your Ascot Golf Sales Agent for further details about the Marc Farry Golf Academy, or include your Tuition preferences with your Ascot Golf Holiday Booking. The five-star Belle Mare Plage’s seven restaurants are spread out over the tropical garden estate with views out over the beach, lagoon, pool and two golf courses. The stunning Blue Penny Café is one of the finest dining experiences in Mauritius. The Blue Penny Café serves up a rich mix of cosmopolitan flavours amid an enchanting setting of cascading waterfalls. The varied international menu is complemented by an extensive wine cellar and cigar cabinet as well as a location next to one of the most beautiful beaches on the idyllic island of Mauritius. Pre-booking is recommended. Ask your AscotGolf sales agent about dining offers. The Shiseido Pavilion is the inner sanctum of the spa at Constance Belle Mare Plage. Staff at the pavilion adhere to the Shiseido concept that true beauty comes from a harmony between body and mind - meaning that cosmetic care should not only be concerned with optimal skin condition, but also total well-being. A range of treatments are available from deep cleansing facials to body tonics. Cleansing and clarifying treatment to restore the skin's original clarity with deep-cleansing, exfoliation and a clarifying mask to remove impurities and refine the skin's texture. 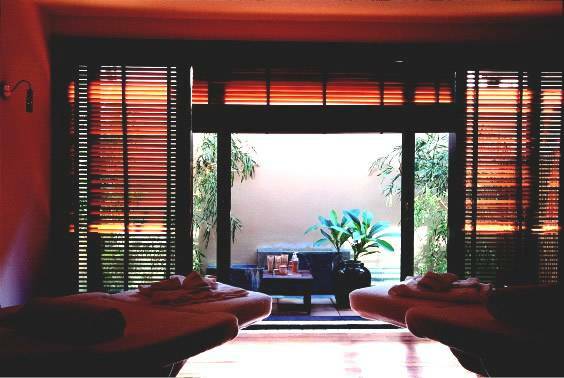 Combined with a Qi massage, this treatment also provides a moment of pure well-being. Afterwards, skin is purified, with a matte surface and renewed radiance. Relaxing Treatment Releases tension and stress with the Shiseido Qi Method. This treatment relaxes, rebalances energy and helps smooth out facial lines. Soothing & Moisturising Treatment under the fingertips of the Qi specialist. Deep cleansing back treatment especially designed to deep-cleanse, exfoliate, purify and refresh the back. For extra pleasure, the treatment includes pressure on the Tsubo points of the neck, shoulders and back to help release accumulated tension. Relaxing Treatment For Body & Mind This treatment totally relaxes the body and mind by combining Shiatsu body massage and the aromacologic products. Soothing & Moisturising Treatment The toning stimulation of contour massage, combined with the reviving action of Energizing Fragrance, helps recharge physical and mental batteries and erase fatigue. The Spa at Constance Belle Mare Plage is located in the centre of the resort, between the main hotel building and the villas by the beach. 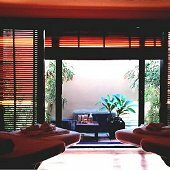 For further details on the Shiseido Spa at Belle Mare Plage, please ask your Ascot Golf Sales agent, or, to ensure availability at the spa for your visit to Constance Belle Mare Plage please include your spa preferences with your Ascot Golf holiday booking. The paradise island of Mauritius is famous for its spectacular dive sites with their rich, colourful coral and varied sea life such as turtles, rays, barracudas, tuna and octopus. Shipwrecks are also found off the coast just waiting to be explored. Blues Diving is located within the Constance Belle Mare Plage resort and offers guided dives and training. Diving sites include the 3metre-deep Belle Mare Lagoon, an ideal starting point for beginners where they can see puffer fish, trumpet fish, butterfly fish and parrot fish. Or for those looking for something more adventurous the centre runs dives into thrilling territory such as “The Shark Pit”. The instruction team at Blues Diving are all Mauritians with a wealth of experience of diving around the island. Divers who wish to obtain a formal qualification can choose between CMAS or PADI. Please ask your Ascot Golf Sales Agent for more details, or include your scuba diving preferences with your Ascot Golf booking at Belle Mare Plage, Mauritius. At Constance Belle Mare Plage children receive a welcome present on arrival while the parents are presented with the new brochure ’Travelling with children in Mauritius’! The Kakoo Club at Belle Mare Plage is for children aged 4-12 years to make new friends, discover new adventures and enjoy a large variety of leisure activities under the supervision of a professional team. 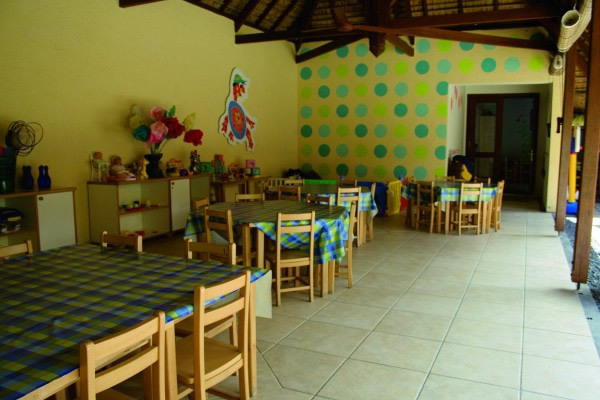 The Belle Mare Plage Resort is comprehensively equipped with quality amenities for babies and children such as cots, bathtubs and walkie-talkies, high chairs and special menus for babies and children, as well as lots of toys, and a 24-hour babysitting service. Offer Conditions: Honeymoon couples must present a wedding certificate no older than 12 months. Offer applies on 5th and subsequent anniversaries. A certificate within 6 months of marriage date must be presented. Listed Package Prices: Listed golf package prices apply with Honeymoon/Anniversary offer. Belle Mare Plage Legend offers superb fairways within the heart of an indigenous forest and velvet greens made to US PGA regulations. The signature 17th hole (par three) is a feast for the eyes and a test for the nerves with spectacular views of the mountains and ocean combining with a tee shot over water to a well-guarded green. The Legend course is exclusive to visitors to Constance Belle Mare Plage or Constance Prince Maurice Hotels, with unlimited golf included in standard package rates listed on AscotGolf.com. The Belle Mare Plage Links offers rolling fairways and firm, fast greens in a stunning coastal setting. The 18th is the signature hole, where a semi-blind tee shot leaves an approach over turquoise waters to the home green, which sits next to an old lime kiln. Facilities here include a practice range. Ile aux Cerfs Golf Course is located across a coral lagoon from the renowned Le Touessrok Resort and can be reached only by a “golfing water taxi”. All 18 holes have views of the ocean - some with glimpses across clearings through the trees, others by coming close to the shore. There are nine lakes in all on Ile aux Cerfs, with a number of holes requiring tee shots across sea inlets to the fairways. Visually the golf course is outstanding, with the ocean and lakes set against expansive bunkers of white sand and a canopy of trees and vegetation.